Cape Town – Finance Minister Pravin Gordhan blamed state-owned entities (SOEs) and the firing of Nhlanhla Nene for South Africa’s precarious ratings outlook, a key to the country’s economic stability. During his budget address on Wednesday, Gordhan said that SOE guarantees is putting pressure on the country’s sovereign rating. “The balance sheets of several entities with extensive infrastructure investment responsibilities are now stretched to their limits,” he said. 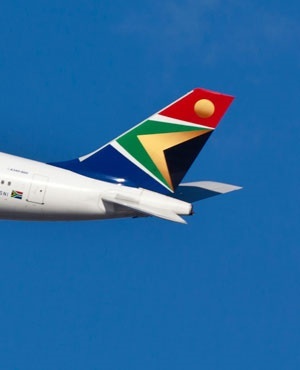 He announced various SOE privatisation measures to ease this pressure, including merging South African Airways and SA Express ahead of making space for a minority shareholder. South Africa is teetering on the edge of a ratings cliff, which could result in the country being downgraded to “junk status”, which would have dire consequences on the economy. Ratings agencies are watching Gordhan’s budget address and review to see whether the country will be able to control its debt repayments in the future. And Treasury knows it. “Ratings agency downgrades and a continued decline in confidence could result in higher borrowing costs, additional rand depreciation, and sharper reductions in public and private investment, with knock-on effects for employment and consumption,” it said in its budget review. Fitch and S&P downgraded its rating and outlook in December on worries about the potential rise in contingent liabilities from weak SOE balance sheets for government’s debt profile, according to Sanisha Packirisamy, economist at MMI and Herman van Papendorp, Head of macro research at MMI. In December, Fitch downgraded South Africa’s outlook to neutral in December, S&P revised its outlook to negative and Moody’s dropped its outlook to negative. “Fitch and S&P justified the move … on the basis of lower potential growth, rising debt/GDP levels, worries about the potential rise in contingent liabilities from weak SOE balance sheets for government’s debt profile, as well as the financing of the structural current account deficit,” the MMI economists said. 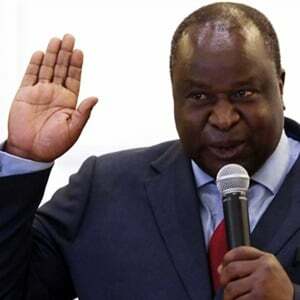 “They also noted that policy deliberations (national minimum wage debate, plans for land reform, delays to the mineral resources bill and the initial visa restrictions) had weakened business and investor confidence, further jeopardising the outlook for longer-term growth. “Since then, the growth outlook has deteriorated further, putting more pressure on fiscal and debt metrics, particularly relative to our BBB- ratings peer group. Additionally, mounting debt risks associating with contingent liabilities and escalating debt servicing costs (as a share of government revenues) lowers SA’s fiscal flexibility. “Nenegate (when President Jacob Zuma fired Nhlanhla Nene has Finance Minister in 2015) has introduced worries that these institutions are no longer deemed untouchable by politicians and could be less independent institutions than previously perceived.